“Mama, I don’t like that mean boice.” My little three and a half-year old told me this numerous times today. I didn’t like his whining voice either. Yes, I told him this. No, it didn’t help. He dramatically threw himself on the floor when he couldn’t do some absurd thing and got reprimanded. To be honest, I just don’t like my mean voice either. It arrives when the whining, arguing and my boys not getting along with each other has reached maximum levels. It has a stern and serious, frustrated and defeated tone to it. I’m pretty sure it’s accompanied by a mean, ugly, scowling face too, though I have not ever looked in the mirror while using this mean voice. I should probably check it out. Some days can just be rough, long and relentless. Extremely long shifts with a lot of demands. For one person. Sometimes you don’t get too many pats on the back or “I love you’s.” Some days, it feels like you, the biggest, most responsible and intelligent person, takes vicious commands from tiny irrational dictators. I imagine if I were in a communal living situation, with other mothers, that one of them would see me, hear that mean voice and intervene. Maybe offer to watch my kids while I walked to the watering hole or all the way to a mountain. I would get a quick break and return a little less defeated. My mother friends would have fed my kids a snack, recognizing that their blood sugar was low. They would probably have made me a snack too. And those awesome mama friends would give me a hug and say, “You know you are a good mama, mean boice and all.” And I would laugh. Then, my boys would come running up to me and jump on me. They would know, by my laugh, that my happy self had returned. The thing is I realized something pretty quickly, like moments, after meeting my kids face to face. They are the only ones that possess these keys to unlock places in my heart that I never knew existed. Both the beautiful places and the really ugly, dark places. They hold amazing powers in their scrawny little skinned-up kneed bodies. And they don’t really know it. A lot of times they don’t have a clue what they are doing. They are just trying to figure out this complicated life. And they desperately need my help. Both when I am willing and able to give generously to them, and when I feel utterly exhausted. And that’s why I always feel like such a jerk on the nights when the day sucked. Or when I sucked as a mom. They are just trying to figure out how, when and where to use this massive set of keys. All the while with tiny hands and inadequate fine motor skills. I am ever grateful for my children’s willingness to forgive me. Love me. Be patient with me. 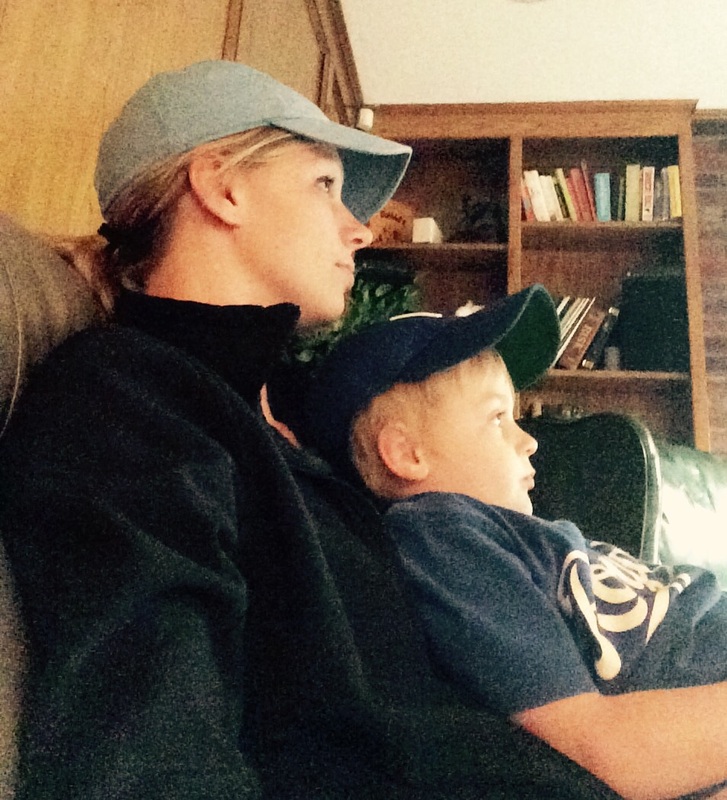 My littlest boy crawled up into my lap tonight and said, “I wike watching the Woyals with you, Mom.” Translated as “I like watching the Royals with you, Mom.” As he sat with me, I apologized to him for using “my mean boice” today. Of course, he instantly forgave me. Because that’s what these sweet little creatures know how to do best. Forgive. Thank goodness that tomorrow is a new day. Even though tonight ended in a most meaningful way for me. And the Royals won too. < Previous Mid-life Crisis. Say WHAT? !